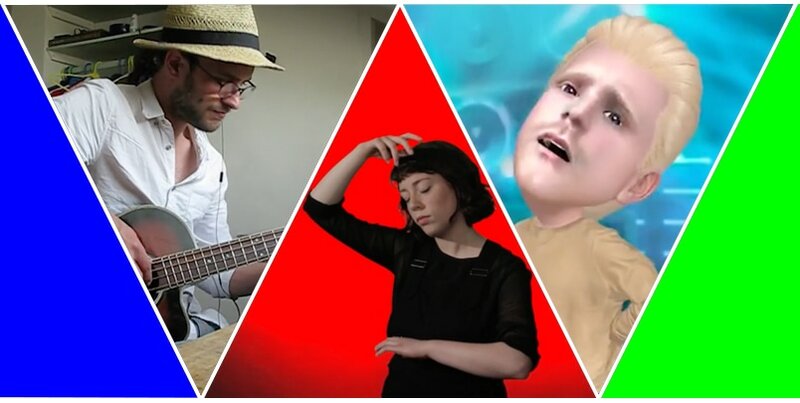 Somewhere Between A Song And A Singer from Benji Jeffrey on Vimeo. A collaboration between writers and performers, this works explores notions of authenticity lying between the inception of a song and it’s delivery to an audience. The piece takes the jazz standard ‘It’s Only A Paper Moon’ as the nucleus around which to centre a discourse. Arrangements and performances of the song are filtered through the tropes of the webcam video, studio video and digital avatar. They are accompanied by spoken texts discussing the output and reception of contemporary media. A project by Benji Jeffrey with Mike Barrett, Geraldine Barton, Rose Dagul, Natalie Klinger, Oliver O’Driscoll and Rob Shuttleworth.